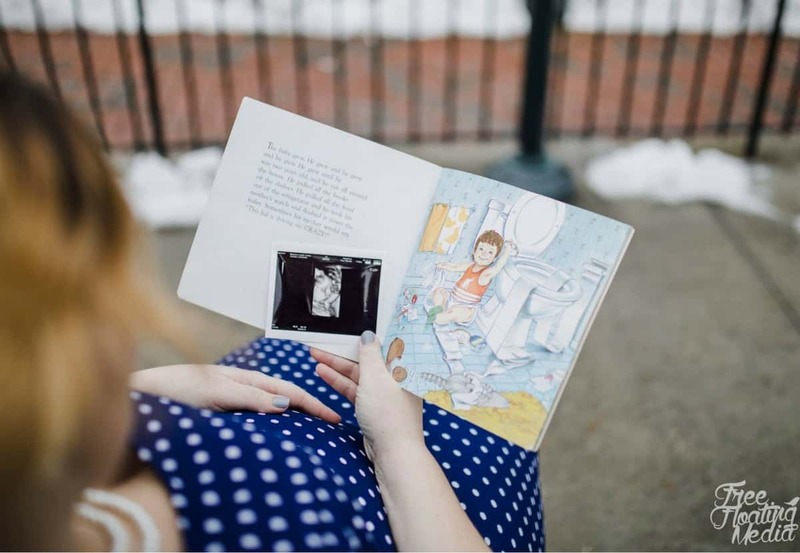 A rainbow baby is a baby born after a pregnancy loss. 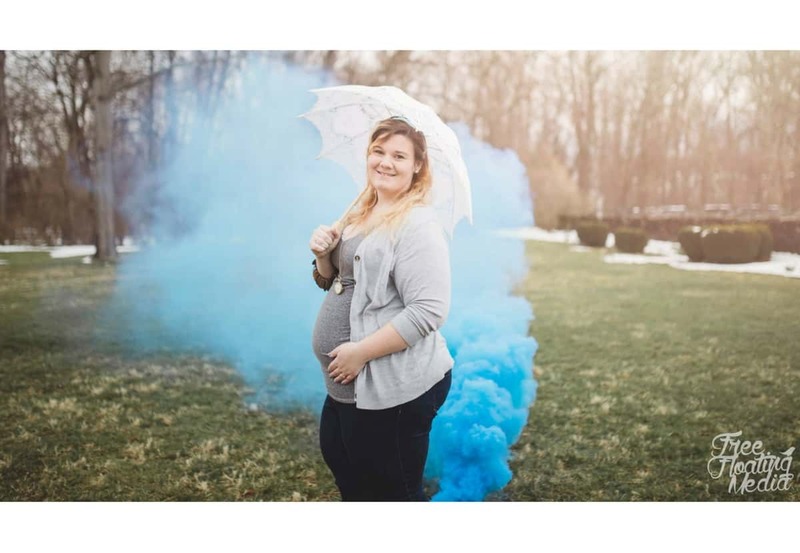 For anyone pregnant with a rainbow baby, I hope Lorraine’s sweet photos provide some wonderful ideas for doing your own rainbow baby plus size maternity shoot. In just a short week and a half my fiancé, Ethan, and I will be welcoming our very first child! 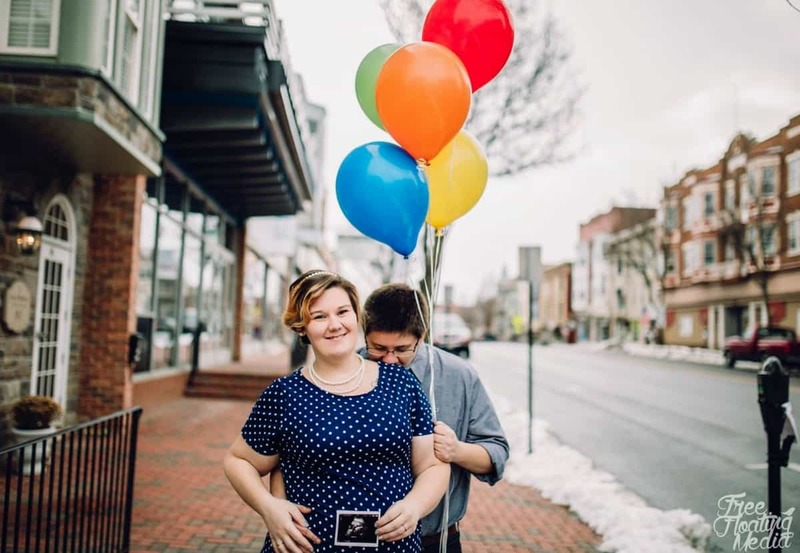 Our rainbow baby boy, Gavin, and we could not be more ecstatic! I’ve been overweight my entire life and pretty comfortable in my skin. Yet, I just wasn’t getting to the point that I needed to be – of at least being a healthy fat chick. I had weight loss surgery in December of 2015 and it was a rough time at the start. In the first 6 months, I dropped 80% of my weight which eventually led to my total weight loss of about 145 pounds. I was able to keep off for about a year. We knew we wanted to be parents soon so we started trying for a baby. 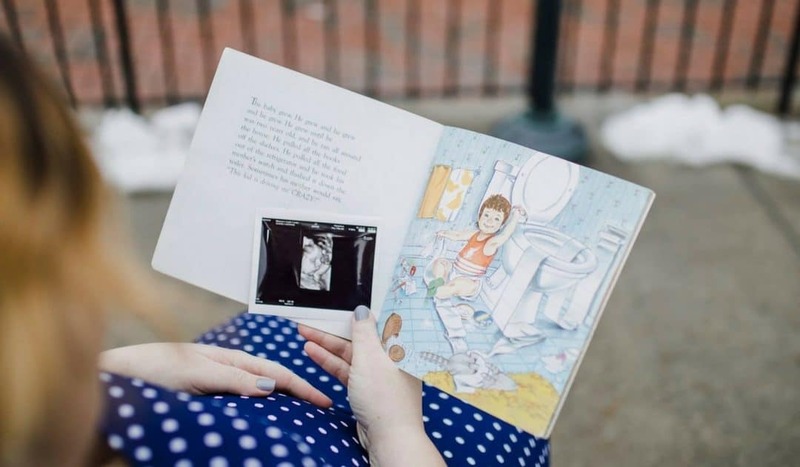 I was pregnant a month or so after stopping birth control. We took a test at the end of June, just for fun, that ended up being positive. So we were so ready to start our family! Just a few short days later, I had miscarried. It was one of the most devastating points in my life. I tried hard to keep it together and Ethan tried hard to comfort me. We moved on and got the all-clear shortly after to try again. Surprisingly we found ourselves holding a new positive test mid-September. 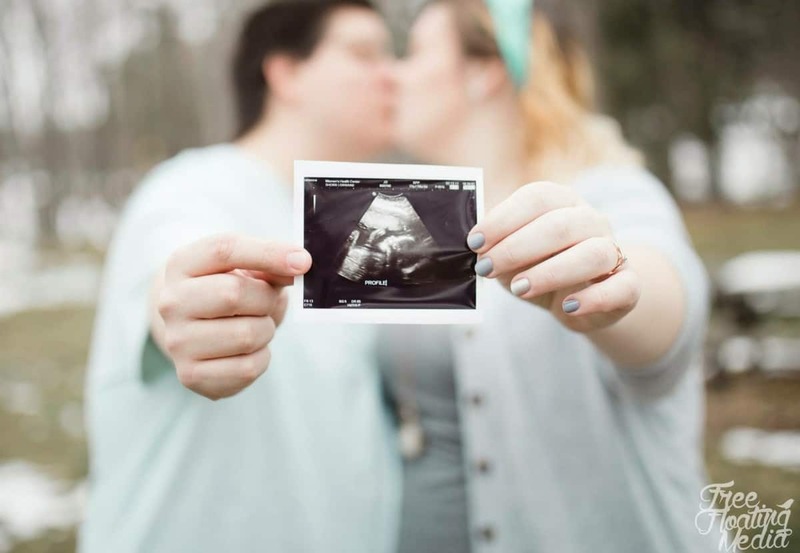 We knew this would be our beautiful rainbow baby! Shortly after the miscarriage is when I started gaining weight back. Confirmation of our rainbow baby was the perfect excuse to give into all my pregnancy cravings. Because I’m pregnant, I can eat whatever I want, right?! 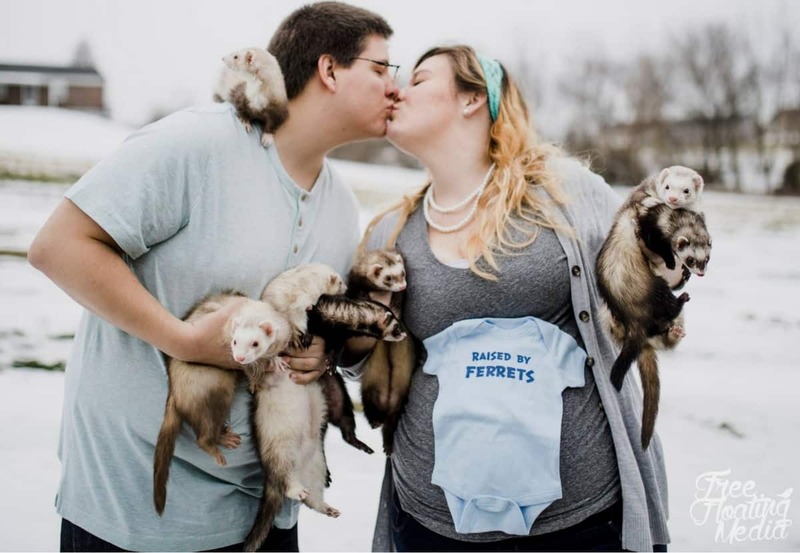 By the time it came around to start thinking about maternity pictures, I was nervous. I had gotten used to being thinner and here I had now fallen back into my super fat chick section of my closet. I had never had a photo shoot of my own. As a photographer, I was used to curbing everyone else’s insecurities in their own pictures. Ensuring them that they looked fantastic. 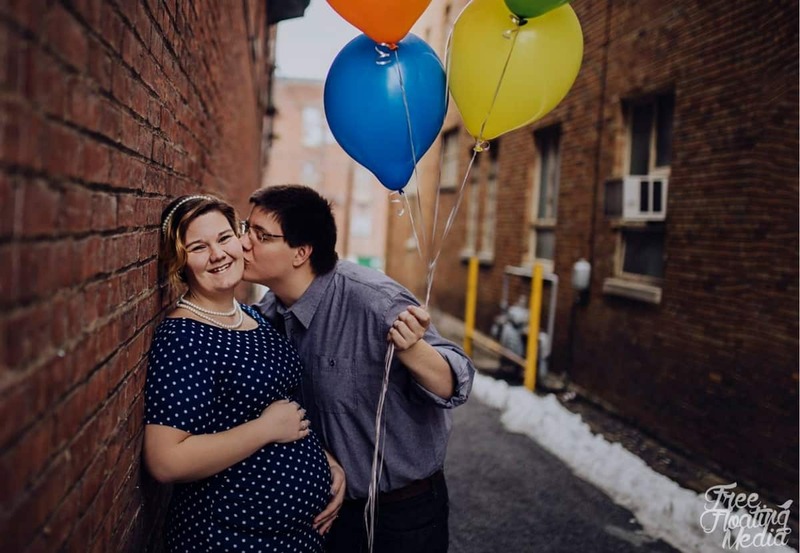 Our session date rolled around and we rocked our rainbow baby plus size maternity shoot! My fiancé has also gained a fair amount of sympathy pregnancy weight so we both just paid attention to each other. We were not worried about the camera. He’s my rock, my soulmate, and my best friend. There’s no one in this world that can make me laugh like he can and that was his job! I told him that he had to make me laugh the entire time so I didn’t have any fake smiles. He did the job like a champ! It was a nice time and I’m so happy with how the pictures turned out. I’m so incredibly happy we have these memories. I totally nitpicked afterward about how terrible my (what people are calling a) “B” belly. Let’s be real, y’all. It’s a fupa. I’ve got a fupa. It doesn’t even matter, this is my body, this body carried me through 24 years of life and it’s growing a whole human being right now! I’m literally creating another person with my own body and am going to be able to sustain his life with my body after he’s born. What’s more amazing then that?! Absolutely nothing. Don’t hesitate. Don’t worry about your body. 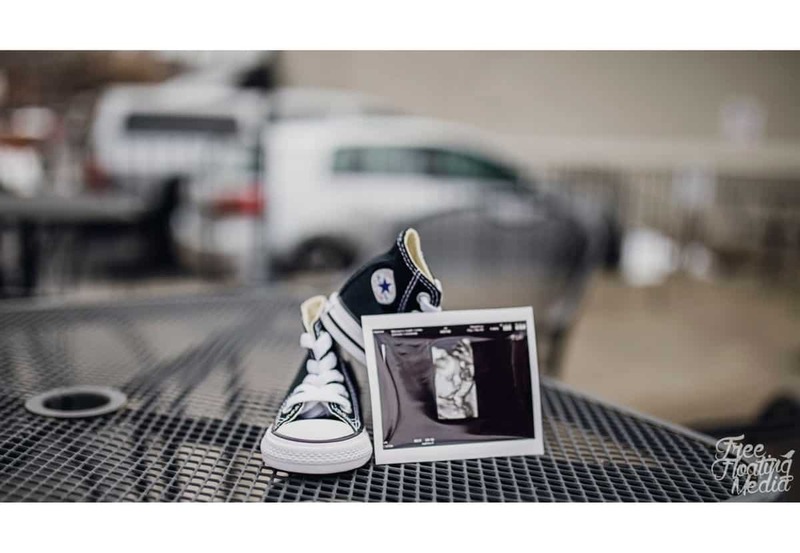 Get your maternity pictures done! Get family pictures done! Those memories are so important. 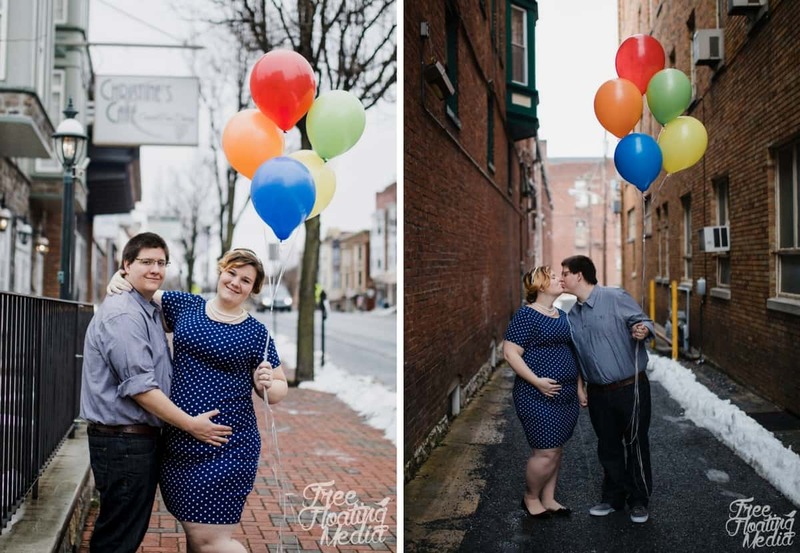 See more rainbow baby plus size maternity shoots via the Plus Mommy Instagram page.